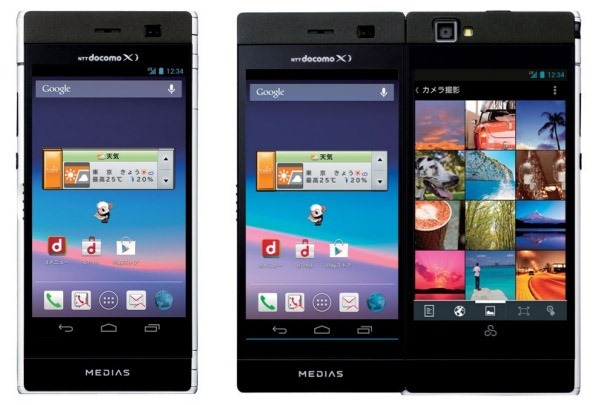 There have been a few cautious entries into the world of dual-screen Android devices from the likes of Kyocera, Sony, and Samsung, but Japanese manufacturer NEC is hoping to leave these efforts in the dust with their new smartphone. The MEDIAS W has a form factor that's distinctly different from any yet seen in the Android world: two 4.3-inch screens in equal resolution, side-by-side. It's a bit like a smaller, inverted version of the Sony Tablet P turned 90 degrees, or the old Microsoft Courier concept shrunken down. 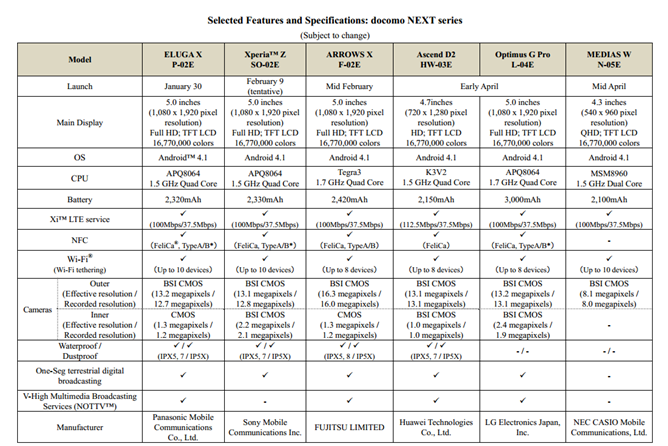 The MEDIAS W was revealed in prototype form at Mobile World Congress 2012, almost a year ago. The interesting screen configuration and a dual-hinge design put the screens opposing one another when the phone is closed - one screen facing the user, one facing out the opposite side. Open it like a notebook, and the screens can operate in tandem, making a split viewing surface that's roughly square, with a combined resolution of 1080x960. Apps can operate independently on two screens, or combine across both for more visual space. Users can also use the entire bottom screen in landscape format, again, not unlike the Sony Tablet P. It's certainly novel, though there's a lot of bezel - probably to make room for the internal components with all that extra screen space and a split case. The Verge has a hands-on with the device in the video below. Under the hood you get a 1.5Ghz dual-core Snapdragon S4, an indeterminate amount of memory and storage, and an open MicroSD card slot. 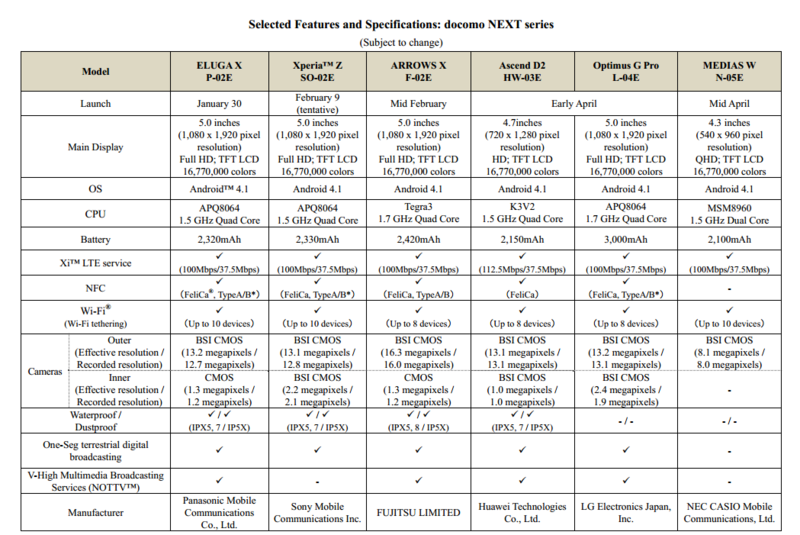 Software is Android 4.1 Jelly Bean, and the camera is a serviceable 8 megapixels. Even with a relatively mundane 2100mAh battery, the unconventional design of the MEDIAS W gives it a relatively chunky build of 12.2 mm. None of the other dual-screen phone designs have managed to catch on, but we'll be keeping an eye on the MEDIAS W - some of us love the concept, even if the execution has been lacking in the other devices that have used it thus far. 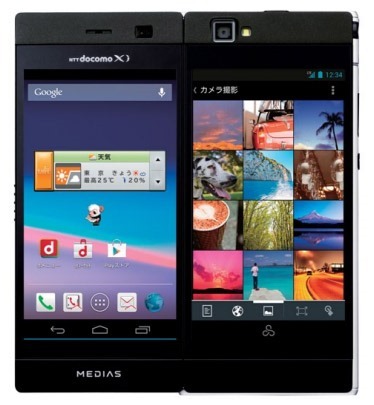 The MEDIAS W is scheduled to hit NTT DoCoMo in April. Don't expect it anywhere else, since NEC isn't all that interested in foreign markets.